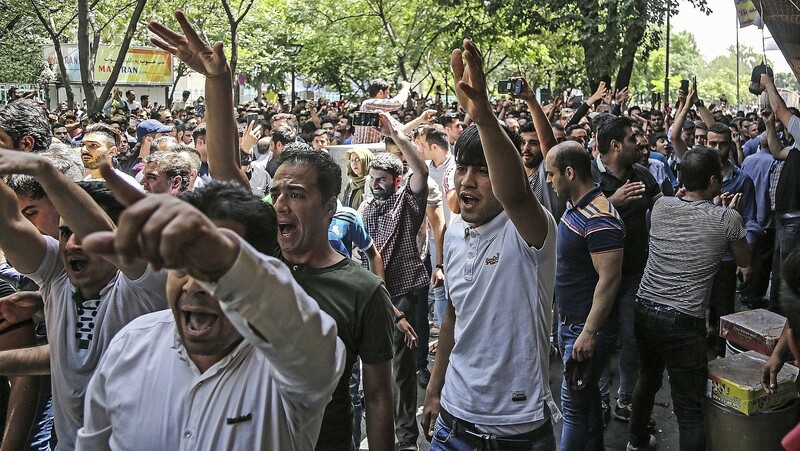 Largely unmentioned by Iranian authorities, protests against the regime have been raging for several days in several major cities, including Isfahan, Shiraz, Mashhad and Tehran, driven by concerns over the economy as well as wider anger at the political system. On Saturday, the conservative Fars news agency reported that hundreds of protesters had attacked a religious school in Karaj province near Tehran the night before. The rulers of Iran may have a good reason to hide the scale of the demonstrations. According to reports, many protesters stressed that they blame their government, not Washington, for the expected effects of US sanctions, which are due to restart on Monday after the Trump Administration pulled out of the Joint Comprehensive Plan of Action (JCPOA), also known as the Iran nuclear deal. “As long as the dictator [Supreme Leader Ali Khamenei] stands, the uprising will continue,” shouted demonstrators in the city of Karaj, the Arab News website reported on Friday. In Isafan, marchers shouted “death to the dictator,” before appearing to set fire to police cars, CBS News reported. “The enemy is here; they are lying when they say it is America,” protesters in Isfahan chanted, according to the People’s Mojahedin Organization of Iran (MEK) which receives support from some in the Trump administration. The state-run IRNA news agency said Thursday around 100 people protested in the northern city of Sari, as well as unknown numbers in Shiraz, Ahavz and Mashhad, but that the demonstrations were broken up by police as they were taking place without permission from authorities. Videos on social media, which could not be independently verified, purported to show clashes between protesters and authorities. Videos on social media in recent days have shown people chanting “Death to the dictator,” but authorities have charged that such footage was promoted by emigre opposition groups funded by the US, Israel and Saudi Arabia. Foreign media are barred from observing or filming “unauthorized” protests. The numerous protests that have sparked across Iran are a continuation of sorts of a nationwide anti-government movement that started gaining ground in late December and continued protesting sporadically throughout the year. 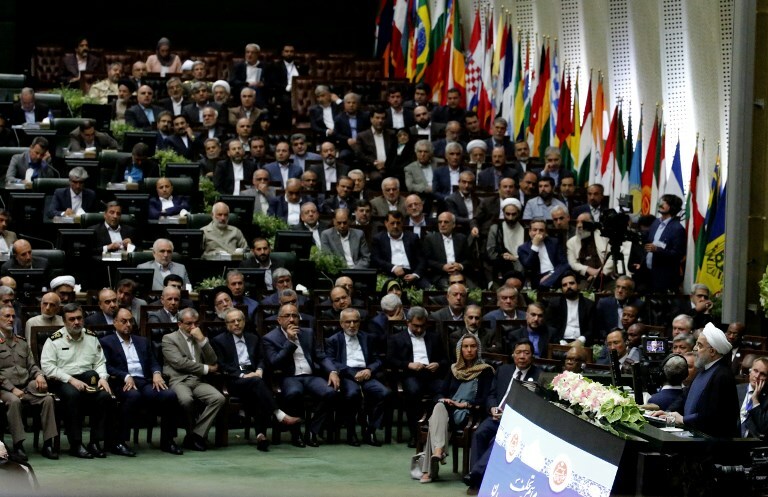 Since the US pulled out of the nuclear deal in May the Iranian rial has slipped to record lows, and has consequently led many in the authoritarian country to dare to explicitly call for an end to the rule of Iran’s Islamist leadership. Fars said the religious school in Karaj province was attacked on Friday night. “At 9 p.m. on Friday they attacked the school and tried to break the doors down and burn things,” Fars quoted the head of the school in the town of Ishtehad, Hojatoleslam Hindiani, as saying. It gave only his clerical rank — Hojatoleslam — not his given name. Amid the rapidly-spreading protests, Iran’s parliament announced Wednesday it would hold a special session to question President Hassan Rouhani about the plummeting currency and struggling economy. Lawmakers plan to separately question Labor Minister Ali Rabiei over the 12.5 percent unemployment rate. He already appeared before parliament in March, when they voted to keep him in office. Pressure is building on Rouhani as Iran’s economic woes mount. Iran’s Supreme Leader Ayatollah Ali Khamenei has ordered Rouhani, the speaker of parliament and the head of the judiciary to work together and find a way to resolve the problems. On Tuesday, 200 of 290 members of parliament signed a letter to Rouhani urging him to make changes to his economic team. Rouhani’s administration has already replaced the central bank governor and taken other measures to shore up the currency, which hit a new low this week. Meanwhile, some hardliners have called for new elections or for Rouhani’s civilian government to be replaced by a military-led one. Early last week, Iran’s foreign ministry rejected reports it may be open to fresh negotiations with the United States, as the country’s currency hit a record low ahead of the re-imposition of the sanctions. “The US or parts of the US may express wishes [about talks], but after the [US] illegal withdrawal from the JCPOA and their hostile policies and push for economic pressure on the Iranian nation, I think there is no such issue” in the works, the Tasnim News Agency reported spokesman Bahram Qassemi as saying. 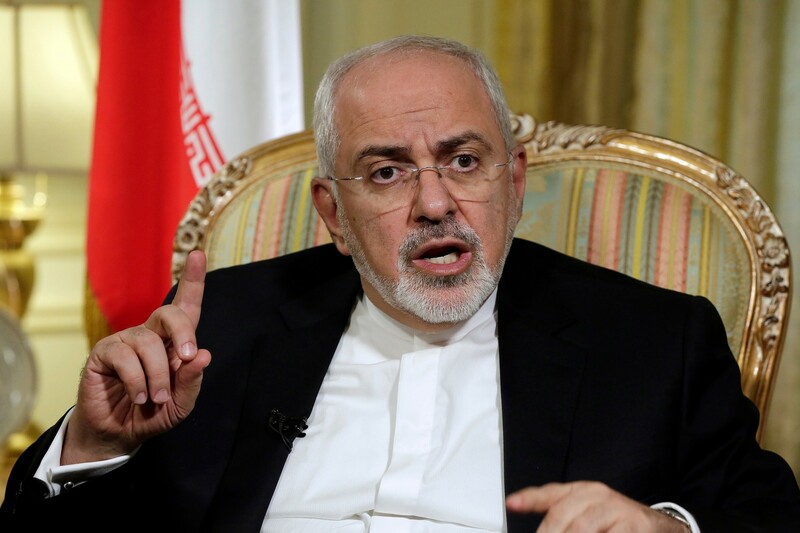 The foreign ministry’s rebuke of “media speculation” came two days days after the influential parliament speaker, Ali Larijani, was quoted suggesting Iran could be open to talks with the US, if such a move has widespread backing from the country’s leaders. Qassemi also dismissed any tie between a recent trip by the Foreign Minister Mohammad Javad Zarif to Oman and the Omani foreign minister’s visit to Washington last week. Oman hosted Iranian and Obama administration officials during the negotiations leading to the 2015 nuclear deal meant to limit Iran’s nuclear program. The visit has been seen by some as a sign that Oman is acting as a mediator between the US and Iran. Muscat hosted secret preliminary talks between the Obama administration and Iran’s leadership in 2011. Larijani was quoted in unsourced reports on Saturday purportedly saying that if the entire Iranian establishment was in agreement, Iran could negotiate with the US. This unsourced quotation was repeated prominently on Israel’s Hadashot TV news on Monday evening. The unconfirmed reports of a possible shift in Iran’s stance on negotiations with the US have come as the free fall of its economy continued Monday, with the rial dropping to 122,000 to the dollar on the thriving black market exchange, from the previous low set the day before of 116,000 to the dollar. “Recent developments in the gold and forex markets are part of the conspiracies hatched by the country’s enemies in order to agitate the economy and rob the people of their psychological security,” the statement said, according to Radio Farda. The IDF said it carried out a second airstrike in the Gaza Strip on Saturday afternoon, targeting a cell launching incendiary balloons into Israel from the southern Palestinian enclave. The strike came hours after the military targeted a cell launching balloons in the northern Gaza Strip. The airstrikes came amid reports that the Strip’s Hamas rulers were considering a long-term ceasefire deal with Israel. 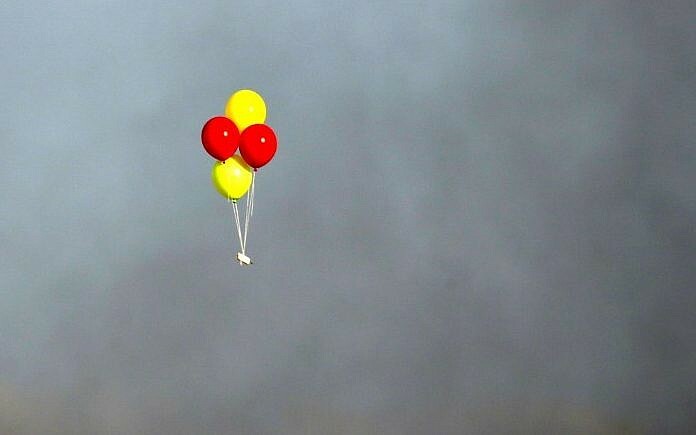 Earlier in the day, firefighters battled two blazes in the Gaza border area started by flaming balloons. On Friday there were 26 fires started by incendiary devices flown from Gaza. Since March 30, southern Israel has experienced hundreds of fires as a result of incendiary kites and balloons flown over the border from Gaza. Over 7,000 acres of land have been burned, causing millions of shekels in damages, according to Israeli officials. Recently, balloons have been found farther and farther from the Gaza Strip, including as far away as the southern city of Beersheba. Israel has struggled to counter the arson assault and has in some cases fired at Palestinians preparing to launch incendiaries, killing or injuring those involved. The Hamas-run health ministry in the Gaza Strip said earlier Saturday that a 15-year-old Palestinian died of his wounds hours after being shot in the stomach by Israeli soldiers during clashes at the border on Friday. Several Palestinians breached the border fence during the large protests. The army said some 8,000 people took part in the protests at five sites along the border Friday. The military said its forces responded with riot disposal means and live fire in accordance with appropriate rules of engagement. Friday’s protests were held in memory of Mohammad Tareq, a Palestinian terrorist who murdered an Israeli man in a terror attack in the West Bank last week. Organizers urged Gazans to attend Friday’s protests “in order to convey a message that Palestinians will not surrender to the dictates of Israeli terrorism until the siege is lifted,” the Haaretz daily reported. For over three months, there have been near-weekly, violent protests along the Israel-Gaza border organized by Gaza’s Hamas rulers, leading to the most serious escalation between the two sides since the 2014 war. The deadly clashes have seen Israeli security forces facing gunfire, grenades, Molotov cocktails, and efforts — sometimes successful — to damage or penetrate the border fence. Last month, an Israeli soldier was killed by a sniper. According to the Gaza health ministry, 157 Palestinians have been killed since the start of the “March of Return” protests on March 30. Hamas has acknowledged that dozens of those killed were its members. North Korea has not abandoned its nuclear and missile programs, despite this year’s earlier diplomatic breakthroughs and destruction of test sites, Reuters reports, citing a confidential UN paper. The paper, as cited by Reuters, alleges that Pyongyang has not abandoned its pursuit of missile and nuclear programs. It is also violating UN sanctions by exporting weapons to a “range of Middle East [and] African states,” including to the Houthi rebels fighting against Saudi Arabia in Yemen, and has shipped coal, petroleum and textile products, all made illicit by the sanctions regime. 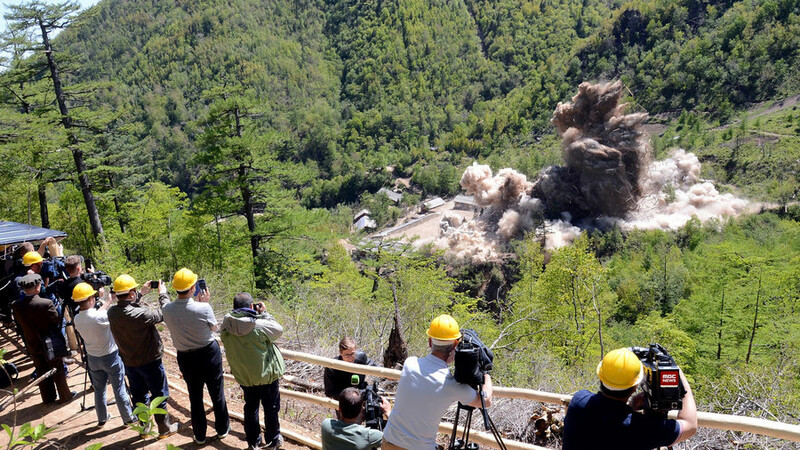 The report comes two months after North Korea made an unprecedented gesture by demolishing its only nuclear test site at Punggye-ri, while inviting a group of international journalists to witness it. An RT crew was at the scene. With the UN report covering six months, the excerpts quoted by Reuters do not clarify whether Pyongyang’s alleged nuclear- and missile-related activities came before or after the demolition, nor do they specify the evidence used to establish the fact of the violations. North Korean leader Kim Jong-un indicated he was willing to denuclearize at an April meeting with his South Korean counterpart Moon Jae-in. The credit for this pledge was claimed by US President Donald Trump and his administration, and in June Trump himself went to meet Kim in an unprecedented personal visit, where Kim confirmed his commitment. Despite the diplomatic breakthroughs, the US says the sanctions, which have been gradually choking off every venue of export and import for North Korea, must remain in place until Kim gives up all of his nukes. In July, Secretary of State Mike Pompeo said it should take 2.5 years for that to happen. In a later interview, he said it was Kim’s decision to set an actual timeline for the process. Earlier this week, several media reports, citing anonymous officials and unspecified intelligence reports, claimed there was renewed activity at a North Korean missile factory, and that Pyongyang was making “one or two” new intercontinental ballistic missiles. The Hamas leadership on Friday agreed to an Egyptian-brokered ceasefire deal with Israel on the condition that restrictions on the Gaza Strip’s border crossings be eased, Hadashot news reported. Now the leaders were waiting for an Israeli response after the cabinet meets Sunday, the TV report said. In the wake of Hamas’s approval, the TV news station said that a “very senior” Israeli official travelled to Qatar for talks on how to implement the long-term ceasefire deal. According to Hadashot, the first phase of the plan would see the Rafah border crossing with Egypt reopened on a permanent basis, and eased restrictions on the Kerem Shalom crossing with Israel. The second phase of deal, according to Hadashot, would see an agreement between Hamas and Fatah that would see the Palestinian Authority take control of the Gaza Strip under the auspices of Egypt. It was not clear how this could be reconciled with Hamas’s refusal to relinquish its weaponry — a stance that has scuppered previous Fatah-Hamas reconciliation efforts. In return, the PA would resume paying its employees in Gaza whose salaries it has withheld, the TV report said. The second phase also outlines a roadmap for elections to be held in Gaza within six months. A third phase would implement long-proposed humanitarian projects like the establishment of a port in the Sinai in Egypt that would serve Gaza, the report said. The last phase, Hadashot reported, was a 5-10 year ceasefire agreement with Israel, that would include negotiations for the return of the Israeli citizens and remains of IDF soldiers held by Hamas in Gaza. These specifics were not officially confirmed. However, an Israeli official told Channel 10 on Friday that Israel would not be willing to accept any long-term deal with Hamas that did not include the return of the held Israelis. He said the deal stipulated that the negotiations for their return must begin immediately. As soon as news of the reported proposal broke Friday, the families of Israeli fallen soldiers and civilians held in Gaza appealed to Prime Minister Benjamin Netanyahu and other Israeli political leaders, urging them to include the release of Israelis in any deal. “Any deal that doesn’t include the return of Oron [Shaul], Hadar [Goldin], [Avera] Mengistu and the rest of our citizens won’t be worth the paper it’s written on, or whatever verbal promises were made for it,” read a letter to Netanyahu from the Shaul family. The Shaul family plans to protest the deal in front of the Prime Minister’s Office on Sunday morning, when the security cabinet is to meet to discuss the agreement. 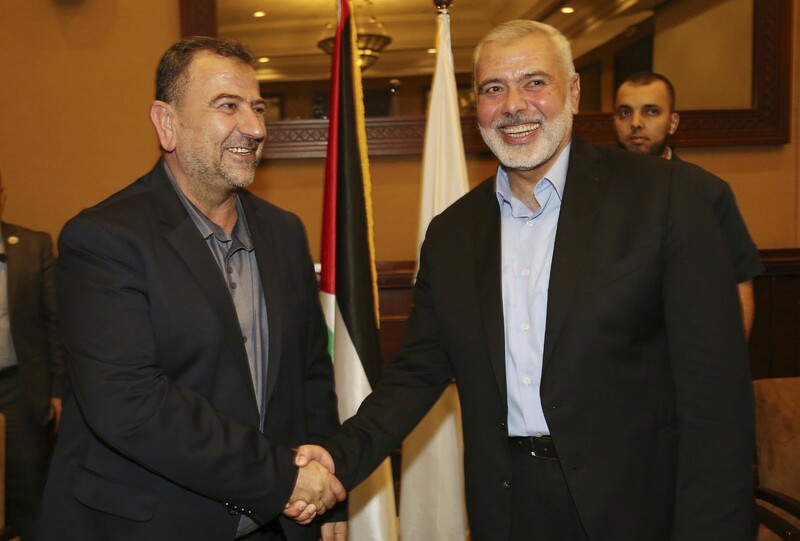 The deputy head of Hamas’s politburo, Saleh al-Arouri, who served several Israeli jail terms for terrorism, arrived in the Gaza Strip late Thursday with other Hamas leaders for talks focused on renewed reconciliation efforts with Fatah and to raise the truce prospects with the terror group’s Gazan leadership, Hamas-linked media reported. According to Al-Akhbar, Hamas’s leadership, including its Shura Council, or parliament, is expected to convene a vote on the proposal, which was brokered by UN Special Coordinator for the Middle East Peace Process Nickolay Mladenov in meetings with Netanyahu, Egyptian Foreign Minister Sameh Shoukry, and Hamas leaders in the Gaza Strip in recent weeks. The reports of a possible ceasefire came as the IDF said Palestinians protesting along the border breached the border fence and hurled firebombs. One Palestinian was killed and 25 Palestinians were injured during the Hamas-led “March of Return” demonstrations Friday afternoon, the Hamas-run Gaza health ministry said. The army said some 8,000 people took part in five separate protests along the border, and that troops responded with riot disposal means and live fire in accordance with appropriate rules of engagement. The deadly clashes have seen Israeli security forces facing gunfire, grenades, Molotov cocktails and efforts — sometimes successful — to damage or penetrate the border fence. Last month, one Israeli soldier was killed by a sniper. The protests have also seen Palestinians fly airborne incendiary devices toward Israeli territory, sparking hundreds of fires in southern Israel and causing millions of shekels in estimated damages. The confrontations have at times spiraled into military exchanges, with Palestinians firing dozens of rockets at southern Israeli towns and the army launching air strikes on Hamas positions in Gaza. There will be another round of mostly oil sanctions in November that in some ways may hurt Iran far more, but August 6 is already viewed as bringing the world into a new reality. On August 6, the first round of mostly non-oil US sanctions against Iran kicks in. This was the key 90-day moment that US President Donald Trump spoke of in his May speech leaving the Iran nuclear deal. There will be another round of mostly oil sanctions in November that in some ways may hurt Iran far more, but August 6 is already viewed as bringing the world into a new reality. Companies and countries all over the world are having to realign their policies and business as the sanctions kick in. How much of a game-changer are these sanctions following Trump’s leaving the Iran nuclear and what happens next between the US and Iran? This week only muddied the waters. 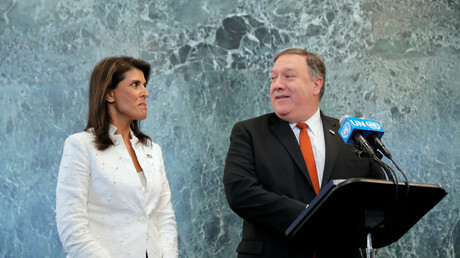 Following the whirlwind offer of talks – and rejection of talks – between the Trump administration and Iran this week, almost all that can be said with any certainty is that observers should hold on to their seats. With characteristic unpredictability and dizzying tactics, Trump one moment seemed to be threatening to bomb Iran into the Stone Age, and the next moment offering a presidential summit to negotiate with no preconditions. Iran quickly rejected the offer. Then multiple Trump aides quickly rejected the idea that Trump had made the offer or qualified the offer so completely such that they rendered the offer meaningless. What was Trump’s sudden offer of talks about? Was Trump having second thoughts and looking for a way out of his original brinksmanship strategy? Did he just want to feign flexibility in order to be able to claim that he tried to talk to Iran, before he escalates further? Was he so excited by his near-term summit success with North Korea that, on a whim, he just figured he would try the same tactic with Tehran? There are no clear answers yet. And the truth is that while this exchange dominated the headlines and could hint at some unexpectedly more cooperative outcome down the road, at this stage it seems like it could also be a passing whim with little significance. Several items relegated to the back pages of less prominent publications probably gave a more serious forecast about what is to come. There was a report that, even as China, Russia and India are backing Iran despite US sanctions and the cost that backing Iran will incur, South Korea has preemptively massively cut oil imports, even before the sanctions have kicked in. Though the EU has made lots of noise about wanting to support the Iran deal and keep it alive with a variety of actions, many experts say that given a zero-sum choice, the EU will have to choose business with the US over business with Iran. The likelihood of this only increased with movements of the EU and US trying to deescalate their trade wars. If the EU does abandon Iran, as many EU businesses have already done on their own, Asia is Iran’s last bulwark to keep its economy running. 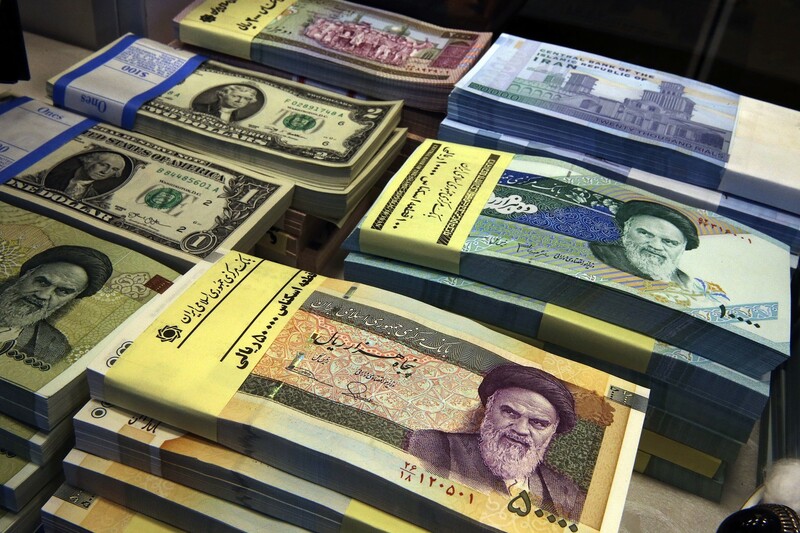 There were news reports about Iran’s currency continuing to be devalued as the impending sanctions take their toll. There are periodic reports of ongoing protests against the government, given the worsening economic situation and protests against ongoing Iran’s adventurism in the Middle East, using up state funds which Iranians want to see invested at home. But there is no real indication that the regime is in danger. The more specific that Trump officials have gotten about regime change, the more exposed the holes and inadequacies in the plan appear to be. This is not to say that many parties globally might not hope for regime change – only that many experts say such an outcome is unlikely and that it is unclear what the strategy is if that does not work out. THERE WAS some concern about Iran’s recent announcement that it finished a new facility to manufacture rotors for more advanced IR-6 uranium centrifuges. Some experts viewed this as a potential game-changing threat, since models of how fast Iran might breakout to a nuclear weapon are generally based on the idea that it would be using less-advanced centrifuges. If it uses more advanced centrifuges, could six to 12 months until breakout suddenly become a few months or less? Yet, other experts viewed the threat as still more Iranian mere saber-rattling to try to outmaneuver the US in the current conflict over Iran’s nuclear program. They said that merely building more rotors at a facility, which was itself old news, and without actually using the rotors to assemble a new army of IR-6 centrifuges, fell far short of a major escalation. At the end of the day, despite Iranian threats, the country has stayed in the deal for close to three months since the US left. This is despite it having no clear economic guarantees from Europe to prop up its economy – guarantees which months ago it demanded immediately. The Islamic Republic has also stayed in the deal despite its past promises that if the US left the deal it would immediately leave. On one hand, Iran wants and needs the deal economically. On the other, most experts say it is unlikely the US can quickly crack Tehran’s resistance to new concessions or bring about regime change. What seems to connect all of these disparate reports and trends is that the US and Iran have been playing chicken for three months already, and even as things escalate leading into August 6, there still seems to be a stalemate. Some thought that the Mossad’s appropriating Iran’s secret record of its nuclear weapons program and giving it to the world would turn the tide and break the stalemate. They thought maybe this would lead the IAEA or other countries to turn up the pressure on the Islamic Republic. In that light, it is interesting that the IAEA recently visited an Iranian university connected with the nuclear weapons program. It is also interesting that a former Iranian atomic energy chief criticized the government for endangering national security by allowing the visit. But this is likely also no more than a blip. The IAEA may be trying to show a bit more backbone to keep the deal together, but it is likely too little, too late to get the Trump administration to back down. The IAEA certainly has not had a change of heart and accepted Israel’s narrative regarding Iran’s nuclear program. So if nothing has yet broken the stalemate, even with August 6 hovering nearby, what will? It needs to be remembered that Iran plays the long game. Experts have suggested that Tehran might not yet have even decided what its real red lines are and when and where it might show flexibility. Just as Trump may have been thinking about North Korea this week when he made the summit offer, Iran may want to sit back and watch whether Pyongyang or Trump blinks first in the current standoff between the sides that may derail those talks. It may want to know the outcome there before it decides its real position. If that situation takes months or even some years to develop – and if Iran can stay afloat with Asia’s support – maybe it will keep waiting to decide. In the meantime, the more the Islamic Republic hurts from sanctions, the more it might push the envelope on the nuclear deal’s limits, while trying to avoid overtly leaving the deal. And if Trump blinks in the meantime for lack of patience, all the better from the ayatollahs’ perspective. This means that short of Trump or Israel setting a dramatic military ultimatum or Iran moving much closer to a real economic collapse (not just generally hurting economically), August 6 is more likely to be a marker for aggravating tensions than an endpoint. In that case, the current stalemate or game of chicken may draw out for quite a while.